GIRARD-PERREGAUX REF. 9034 STEEL Girard-Perregaux, No. 123636, Ref. 9034 BB. Made in the late 1960s. 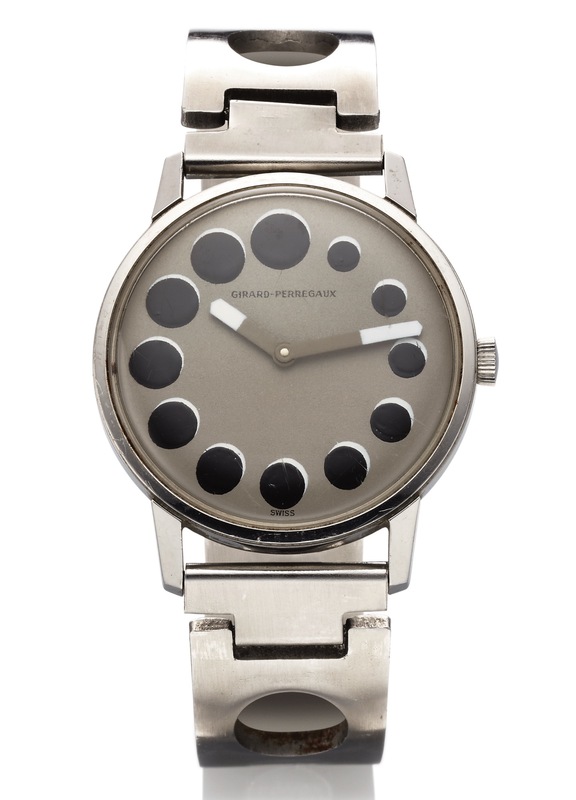 Fine, stainless steel wristwatch with lunar dot dial and a stainless steel bracelet.